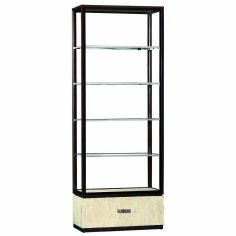 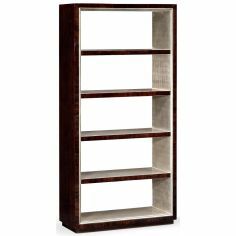 Keep your favorite books organized and all-together in the designer bookcase with brass pulls. 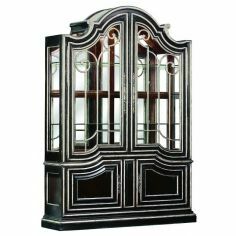 It opens up top multiple shelves and two doors. 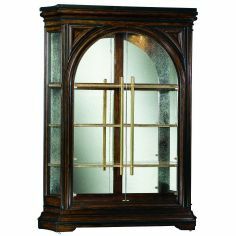 Behind each door, you will observe a set of two adjustable shelves. 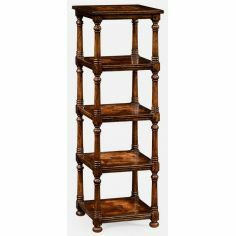 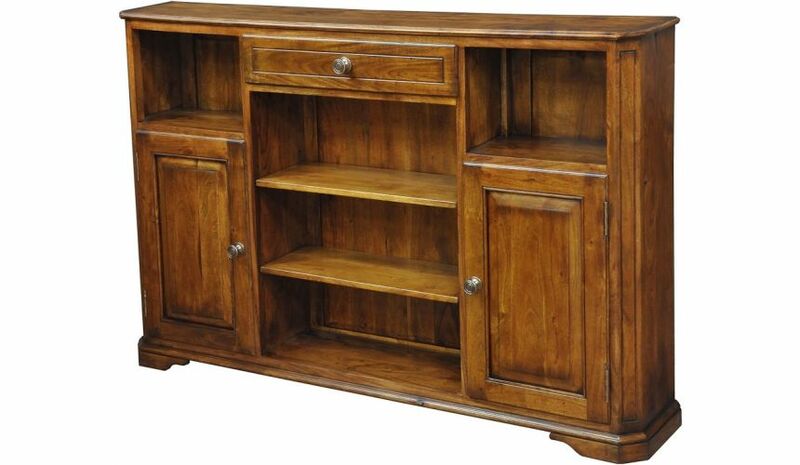 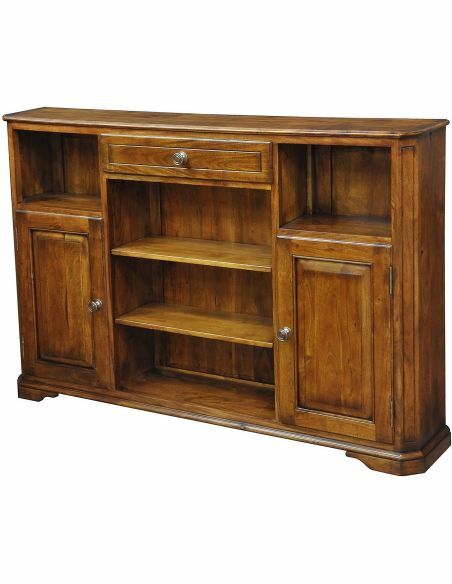 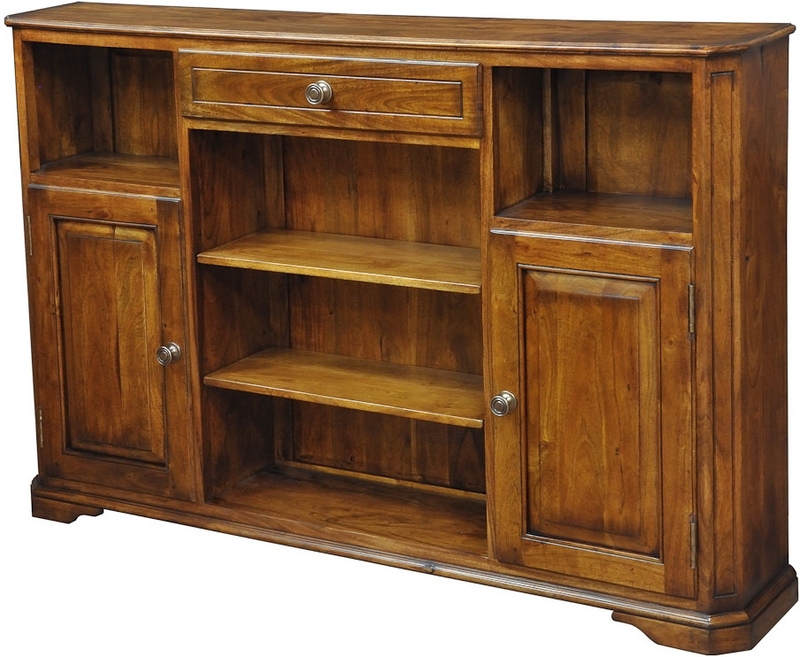 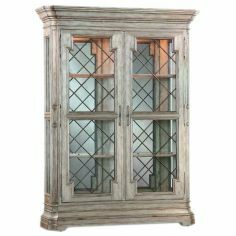 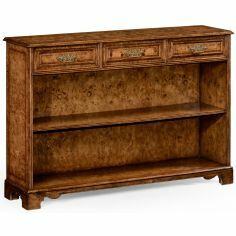 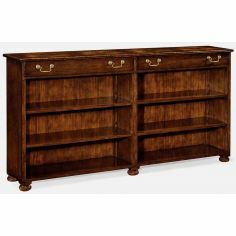 Finished in Fruit wood, this bookcase is quite easy to open/close with various brass drawer pulls.